While the Italian Government are thinking about ways to deal with the current market situation, EUR is getting weaker due to the Brexit issue. After hitting the previous high at 1.11850 EURUSD has been moving with bearish bias. 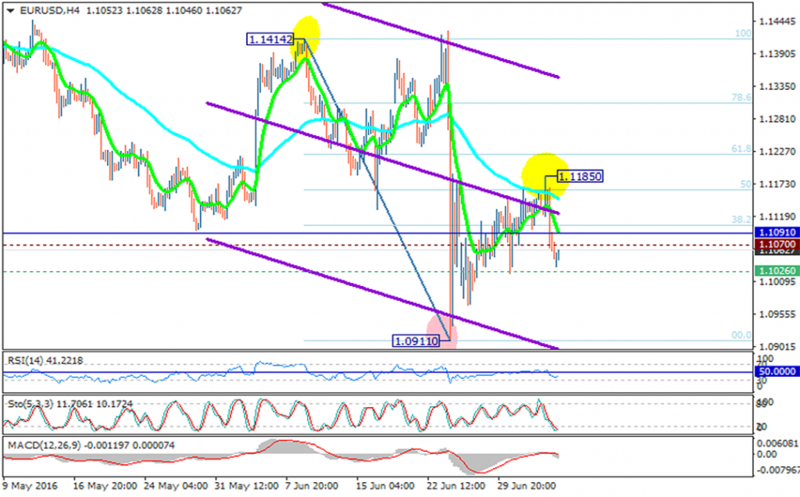 The support rests at 1.10260 with resistance at 1.10700 which both lines are below the weekly pivot point at 1.10910. The EMA of 10 is falling sharply below the EMA of 75 along with the descendant channel. The RSI is still in oversold area but it is moving up, the MACD indicator is neutral area and the Stochastic has reached its bottom and there might be a rebound soon. The resistance level breakout is a good chance of Bulls return to this market. The potential target is 1.1200.